Elation will be showcasing the Smarty Hybrid™, a full-featured Spot, Beam and Wash fixture and the most compact CMY color mixing hybrid Elation has released to date. At the heart of the fixture is a new Platinum lamp using “FLEX” technology which offers a “smartly” designed discharge lamp/ballast package (6,000 hour lamp life) for high output (14,000 lumens) performance at an efficient and affordable price point. The lamp is dimmable and power to the lamp is reduced when not in use. 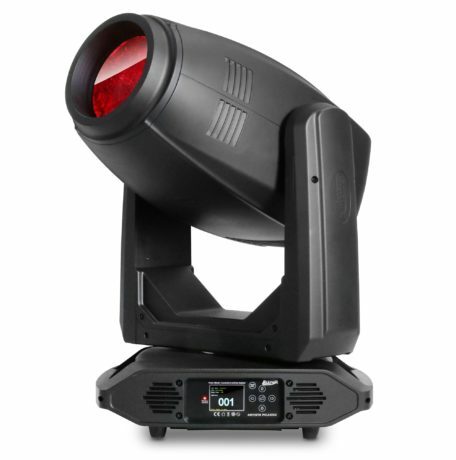 Features include motorized zoom, full CMY color mixing, linear CTO, 13 dichroic colors, two gobo wheels, prism overlay and more. Elation has introduced a new Ultimate Warranty program on Smarty Hybrid that covers the first two years of operation or 6,000 hours of use, whichever comes first, and includes the highly-efficient Philips Platinum FLEX 200 lamp! Elation continues to expand its award-winning Artiste series of creative, full-featured moving heads. At PLASA, look for the Artiste Picasso™, an inspirational theatrical-grade luminaire that connects art to engineering. One of the brightest and most feature-rich profile LED lighting fixtures on the market today, it is a high-output (22,000 lumens), feature-packed (zoom, framing, CMY, CTO, gobo wheels, animation, prisms, frost and more) yet compact profile light featuring a new high-power 600W Cool White LED engine. Also on show will be the Cuepix 16 IP™, a powerful, 4×4 LED LED blinder and effect panel with all-weather IP65 protection. Designers can add high-impact color or white light, eye candy or pixel-mapped effects, to productions of all types without the worry of weather and cost and inconvenience of protective coverings.